If you think about it, a list basically contains a bunch of itemized words that aims to complete or achieve a bigger task or activity. However, its simplicity does not compare to the important role it plays in becoming successful and fulfilled. Through a list, important things that human memory might forget are recorded. This helps in making sure that the goal or objective you have set for the day, week, month, and so on are completed within the specified time. In addition, this also ensures that the correct process regarding a specific task is accurately followed through to achieve the correct outcome. 1. Heading or Title: A list can be made for every task or activity that you want to do, ensuring that there is a heading or title for your list will help you easily identify its purpose. In this case, the heading or title should directly relate to the contents and purpose of the list. For example, if the list has the heading medication list it will immediately tell you that the contents are the time, dosage, and specific medicine that you need to take. 2. Instructions (Optional): Lists that will be used by other people, especially in a corporate setting, need instructions that will help the writer follow through the list efficiently and accurately. 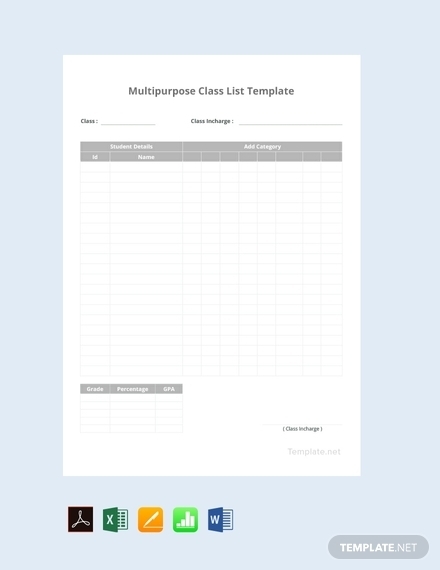 Although lists for personal use don’t really need specific instructions, it can still help you remember how to perform certain items on the list, what to do, etc. 3. Format: The format of your list can either be in a bullet or number list, this totally depends on your preference. 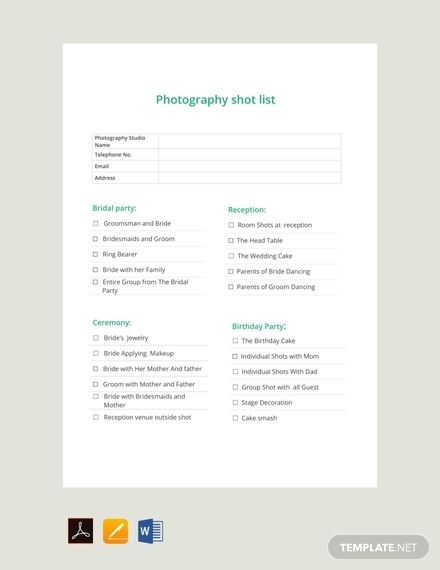 You can even use checkboxes similar to a checklist to keep track of what you have already completed. You can even use columns to separate the list itself from your remarks i.e. ongoing, completed, canceled, etc. 4. Categories: Adding categories to your list will help you logically separate the items. For example, in a to-do list, you can categorize the items by priority or urgency. This will help you ensure to complete items that are important first before proceeding to the least important ones; thus, achieving more efficient time management. 5. Date: The date on your list is a crucial element that you should never forget. This will tell you the timeline of each item or tasks and help keep you on the right track of doing things. This is most important to items or tasks that have a specific deadline that you have to adhere to. 6. Items: The items on your list are the things that you need to accomplish. This is the main element of your list since this will be your guide on what you need to do in order to accomplish your task. Each item on your list should correspond to the purpose and heading; otherwise, you will be wasting precious time doing things that don’t matter. 1. Determine the purpose: The purpose of your list will be the basis of all the other elements; therefore, you need to determine its purpose beforehand. Determine the specific task your items will be tailored to. For example, if the purpose of your list is to record all the addresses of your family member, friends, offices, agencies, etc. that you will be working with, you should make an address list. 2. 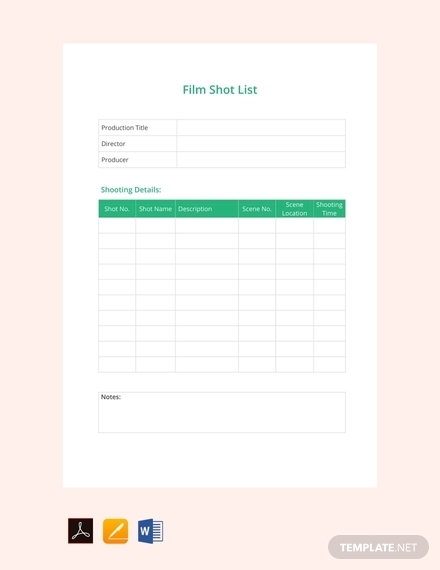 Choose a medium: Aside from the traditional pen and paper, there are other media that you can use when making a list. You can easily make a list on your mobile phone through various applications or make one online through list-generating websites. Regardless of the medium, it is still best to have a physical copy of your list so that you can post or stick it where you’ll easily see it. 3. 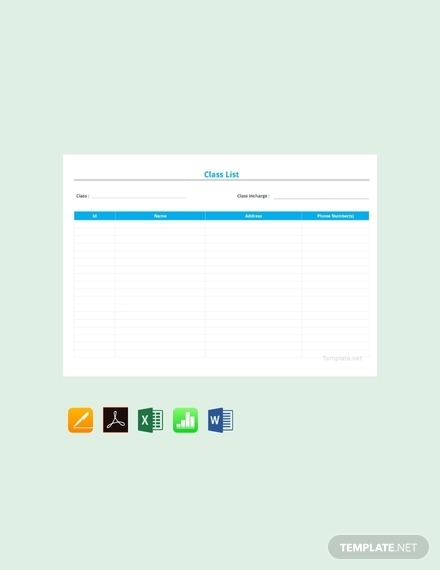 Identify format: As mentioned, you can have your list in a bullet or numbered list. Before you start, decide on what you prefer to use. 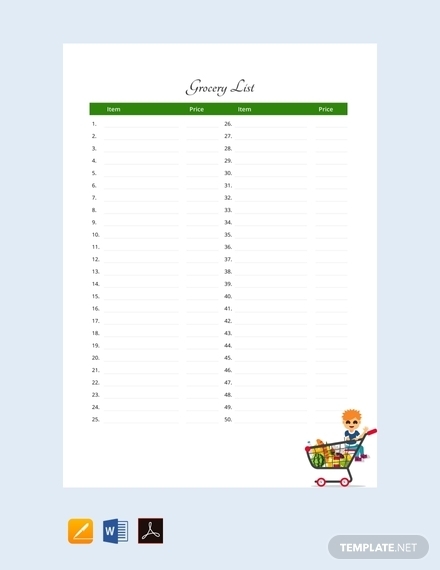 Identify what will help you list your items more efficiently; a bullet list allows you to freely list down the items, while a numbered list will most likely encourage you to list your items based on hierarchy or importance. 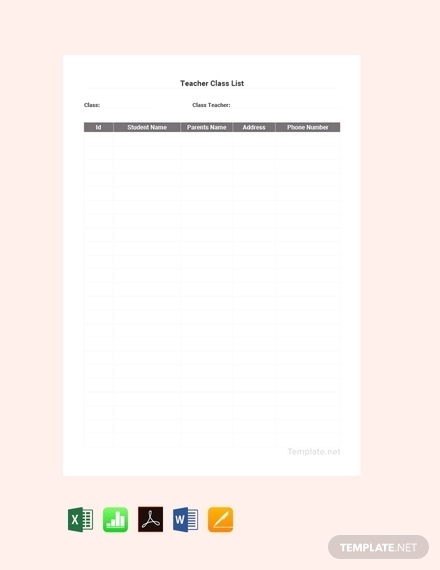 You may also see class list examples. 4. Organize items: Tasks that have a certain guideline usually have a specific process or procedure that you need to follow. Therefore, when organizing the items you need to think logically and consider what their outcomes will be i.e. is the outcome of an item a prerequisite of another or not? In addition, you can organize them by priority or importance. This will help you move in an efficient and logical manner. 5. Proofread and edit accordingly: Before using the list, you need to make sure that you have accounted for all the things that you need to accomplish. If you are following a specific order of items, make sure they are organized correctly; otherwise, you will be going back-and-forth each item. Edit the list according to the changes that you will apply. 1. Checklist: A checklist is just a list that follows a specific order on how things should be done and uses checkboxes to determine what items have been completed. 2. Contact list: As the name suggests, this list contains name and contact information of people. This ensures you have a copy of their contact information should you lose a copy on your phone. 3. Task list or to-do list: A task list or to-do list contains an itemized list of the tasks or activities that you need to do for the day, week, month, etc. 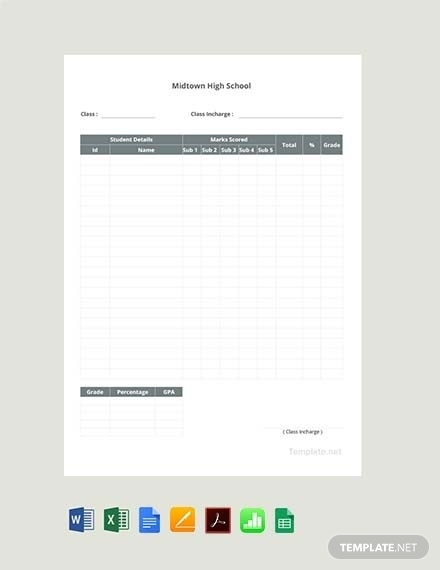 You may also see material list examples. 4. Gift list: The holidays are a hectic time, and having to remember what present to give to everyone you love adds to the stress. To help you remember the gifts for specific people, you can use a gift list. 5. Packing list: To ensure that you have all the things you need to bring with you to your travel you should use a packing list. This will guide you when packing and will serve as a reference when double-checking everything before you go. 6. Bucket list: Of course you have activities and things that you want to do before you kick the bucket. A bucket list contains a number of things that you want to do before you die. This list has no standard or specific format, can even include random things that you’re just really interested in. 7. 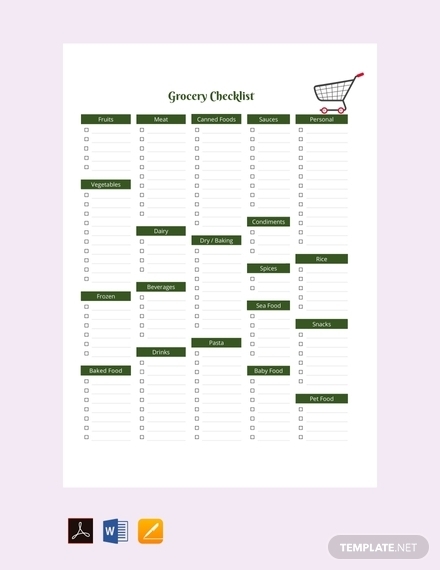 Grocery list: To help you stick to your budget for the week or month using a grocery list is a wise decision. This will guide you on what you need to buy for your next grocery run. 8. 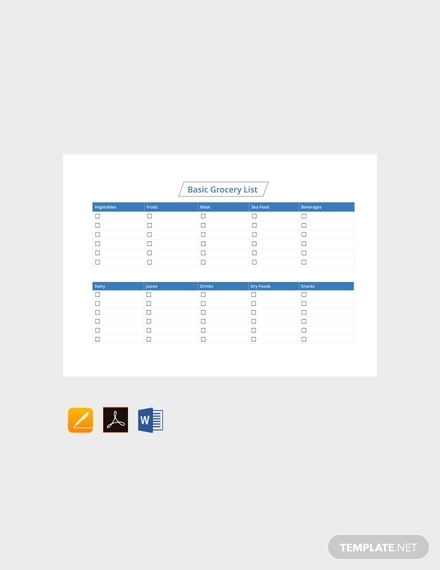 Inventory list: In business, you need to keep track of what you have in stock or your inventory. An inventory list takes an account of all the tangible property that are all found in the building. This helps make sure there is accountability when things are added or goes missing. 9. Vendor list: Businesses that heavily rely on third party businesses for supplies and other services needs to have a list of all the vendors or suppliers that can provide what they need. A vendor list is a document that contains information about vendors that have been contracted for a project. 10. Reference list: A reference list can either be a list of your references for employment or a list of people, publications, articles, etc. that you have referenced in your own publication.